Toe Pressures are an excellent peripheral arterial check for diabetic patients, especially those with wounds or ulcers on their legs or feet. This easy to use kit is completely portable and you can document the associated waveform for comparison over time. Great for evaluating patients with calcified vessels, non-healing wounds, diabetic feet or people who need toe pressures. Chart recorder with battery charger and paper. 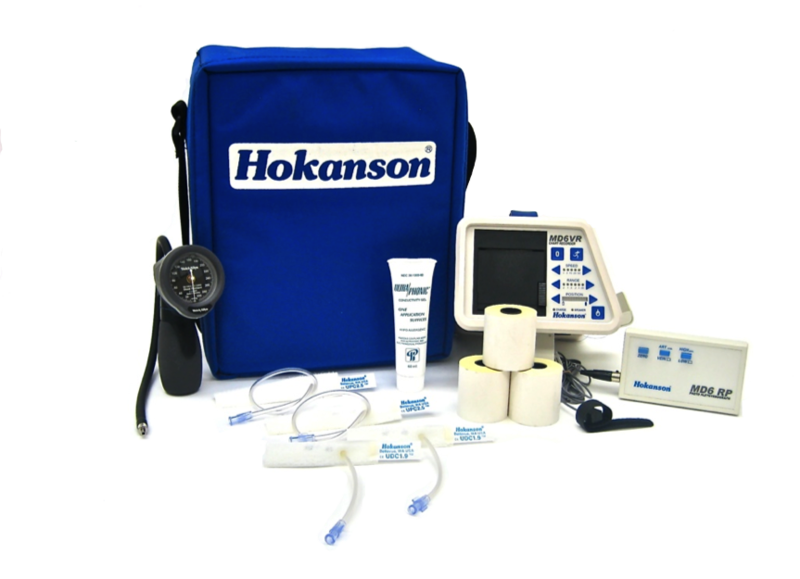 Hokanson vascular cuffs have been the standard in vascular laboratories throughout the world for over 40 years. When measuring blood pressure in parts of the body as diverse as the small toe and the thigh you need special vascular cuffs. Hokanson cuffs with their distinctive royal blue color and replaceable bladders have become the standard in the vascular laboratory. They offer exceptional quality, durability and fit.